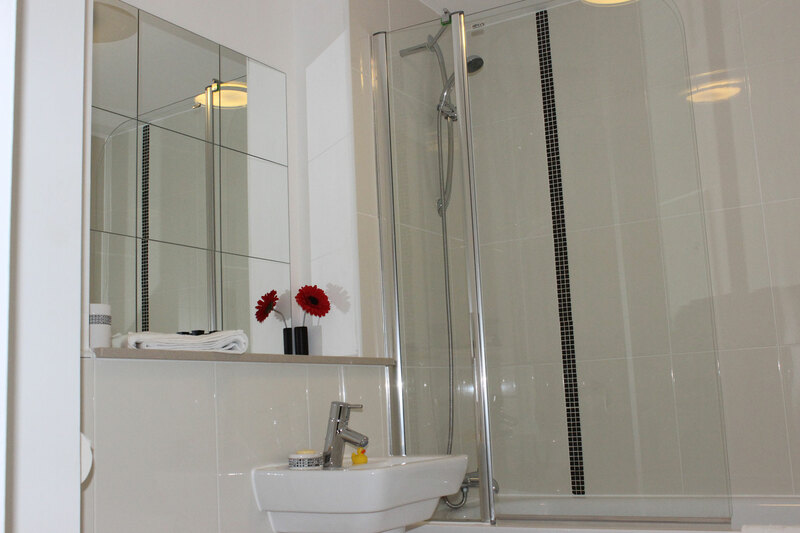 Enjoy the best in City Living at the popular and well known “Hub” development situated in the Heart of the City Centre, close to shopping and eating out. 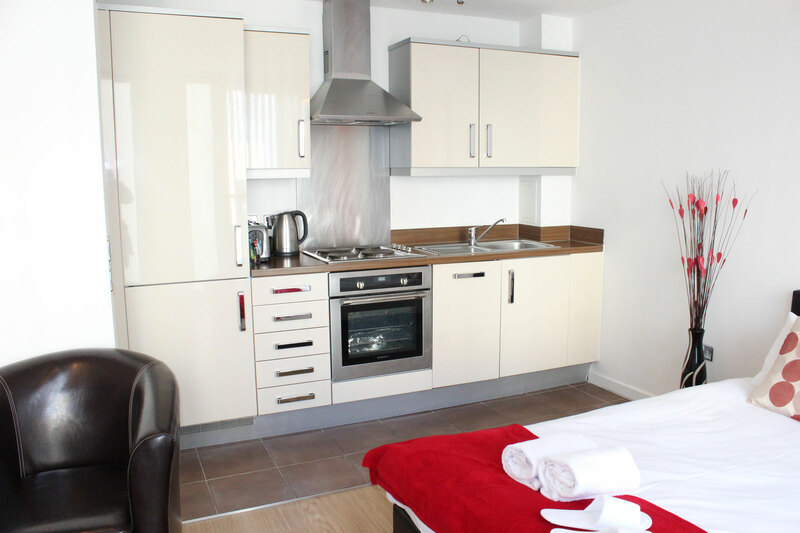 This studio serviced apartment in Milton Keynes has a fully equipped kitchen, comfortable living/sleeping area with breakfast bar/work station, large separate bathroom, plenty of storage space and one allocated parking bay in the secure underground car park. 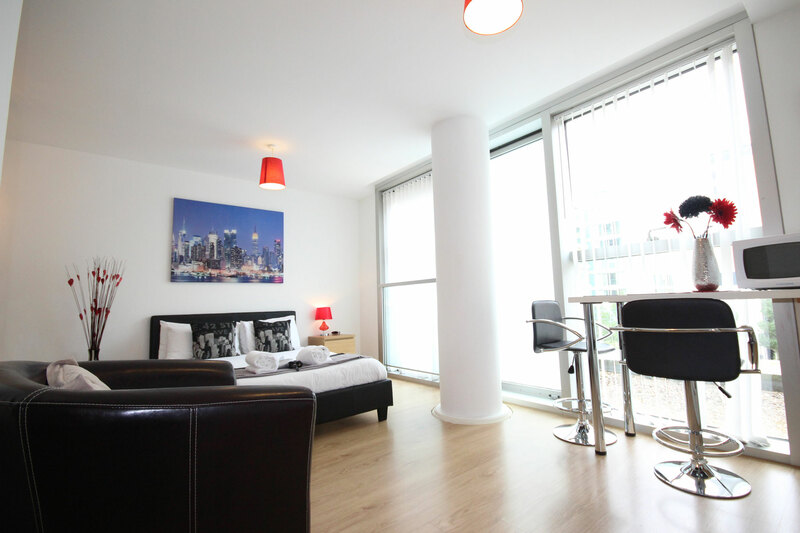 These studio serviced apartments offer a fantastic Hotel alternative with direct views into the vibrant Central piazza where there are a host of fabulous restaurants and café bars on your doorstep including Raymond Blanc, Loch Fyne, Café Rouge and Las Iguanas; to name but a few. 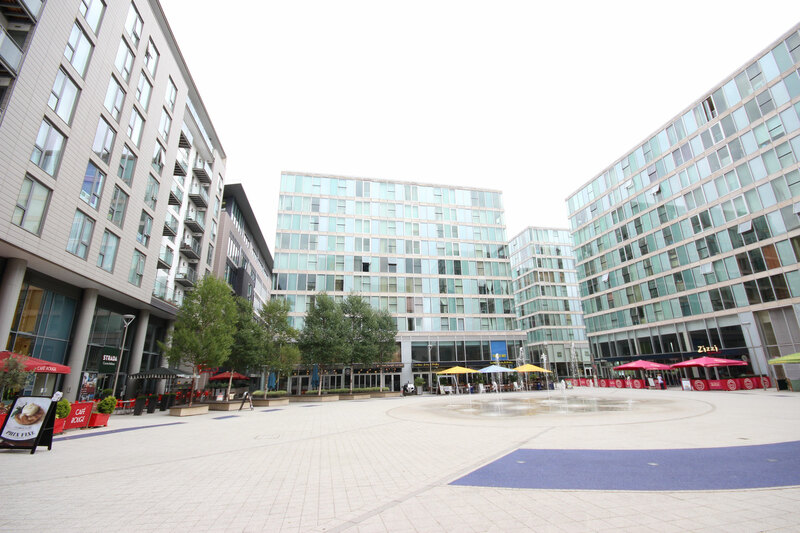 Furnishings are bright and modern throughout complimented by floor to ceiling window features overlooking the piazza. The combined living/sleeping area is surprisingly spacious including a breakfast bar for dining or as a work station. The kitchen is fully equipped with all the essential appliances and utensils. The bathroom with Villeroy & Boch sanitary-ware is extremely spacious offering both bath and shower facilities. There are two built in wardrobes for storing away luggage and clothing to give even more living space. 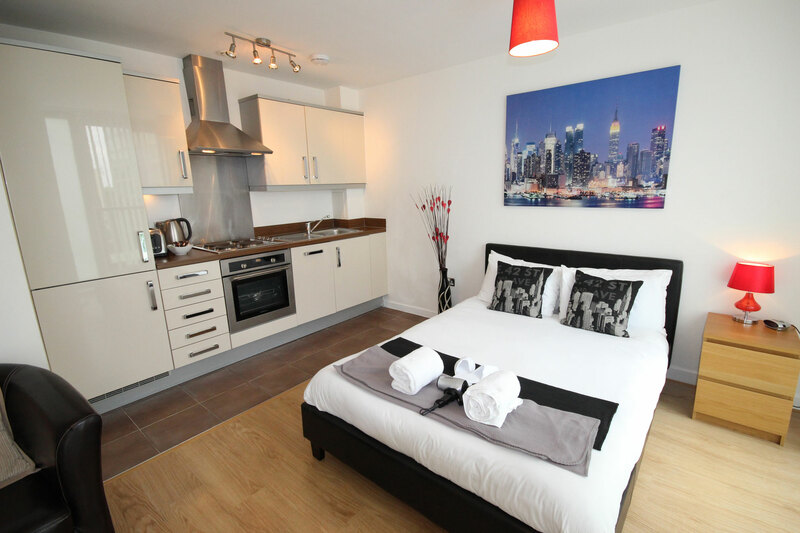 The Hub studio apartment is just a 10 minute walk to the main rail & bus stations our guests also benefit from quick and easy travel links into many other major Cities – just 40 minutes into London Euston by train.